We have seen many places where ASSI works and heard inspiring stories of transformed lives and miracles. Everything we’ve heard about the movement of God here is true, but can’t be captured in words and pictures–however, it can be sensed in the testimonies and facial expressions of those walking in new life. We are partnering at a pivotal time, with more fruit and joy to be seen. Our last two days will be in Jaipur. We leave in the morning. Pray we continue to discern our part in this new city. 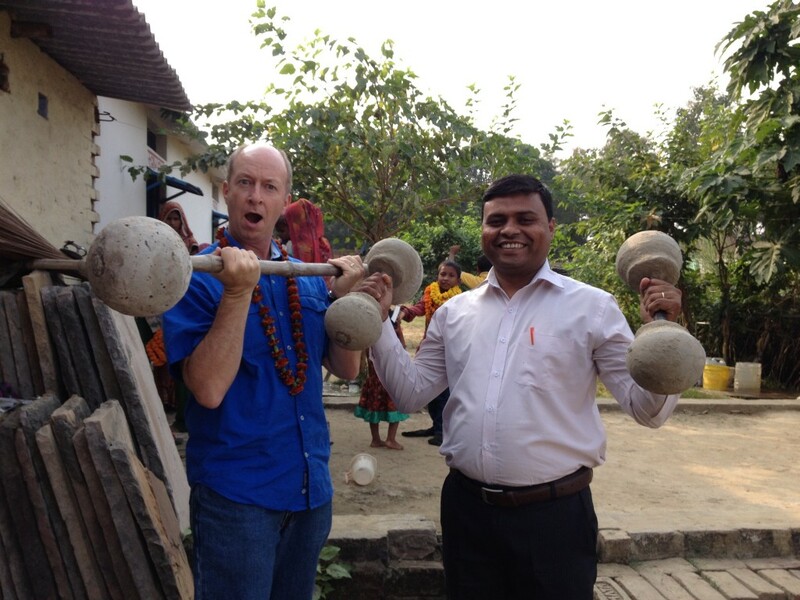 Dan and Mr A lifting homemade weights after Sunday church in the village. Mr A was a key editor of the Magahi New Testament that was dedicated at this past weekend conference. Connection Pointe contributed significantly toward the printing.